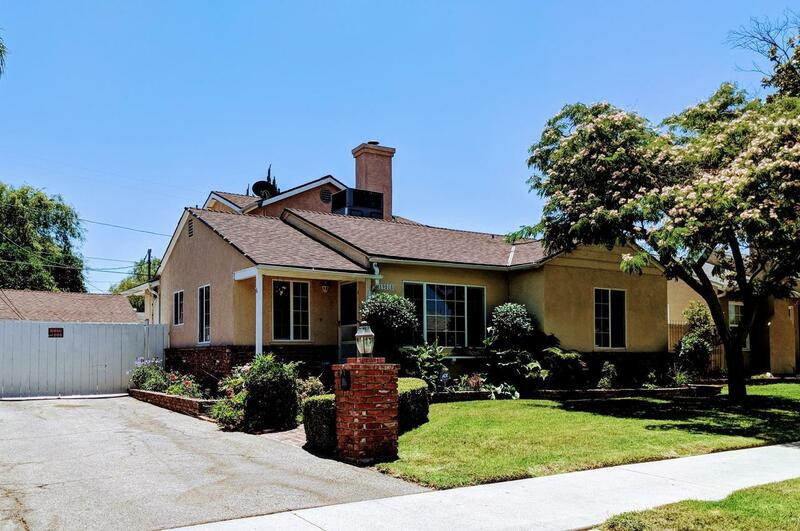 Newly remodeled home located in a highly desirable area in Reseda. This modern home has a gorgeous well-kept lawn with lots of lush greenery. The living room and bedrooms downstairs flow with wood floors throughout. The kitchen features new granite counter tops with elegant dark wood cabinetry. 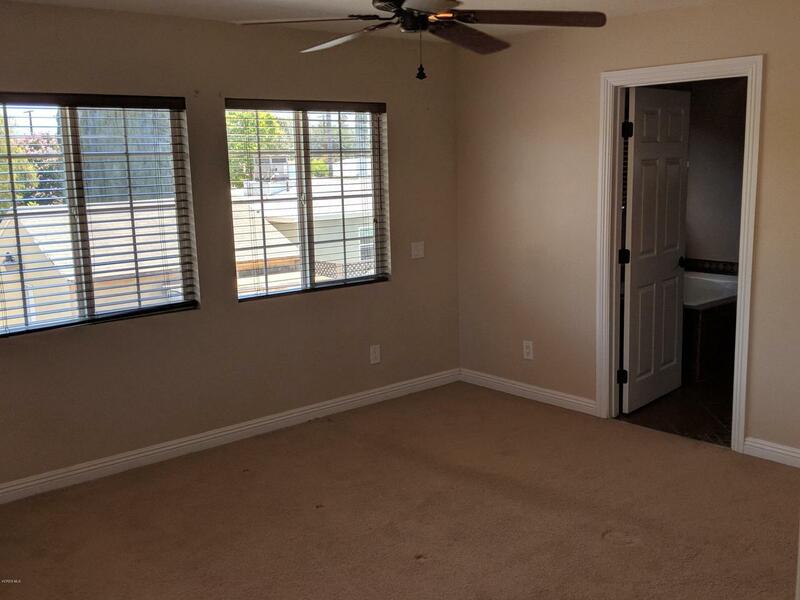 There is a total of 4 bedrooms plus a bonus room which can be used as a gym/laundry room. The downstairs has 3 bedrooms, one which has a wood burning fireplace. Two modern bathrooms with upscale tile work in showers and pedestal sinks. As you make your way up the carpeted staircase you enter to an amazing large master bedroom with beaming natural light, separate walk in closet and offset area with stackable washer/dryer. The master bathroom is uniquely spa influenced with an oversized jacuzzi bathtub and attached upscale shower. Vanity with his and hers separate sinks. 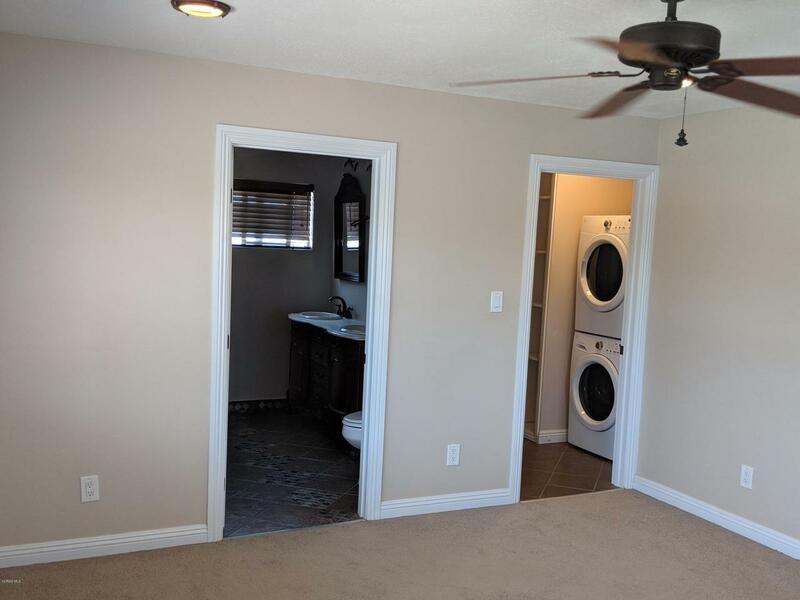 The automatic outdoor gates privately enclose the back yard which has a detached double car garage and plenty of room for entertainment and lots of storage and parking space.Tenant Has A Current Lease And Will Remain In Possession Until July 2019. Sold by Maria Castro BRE#01989641 of Keller Williams North Valley. 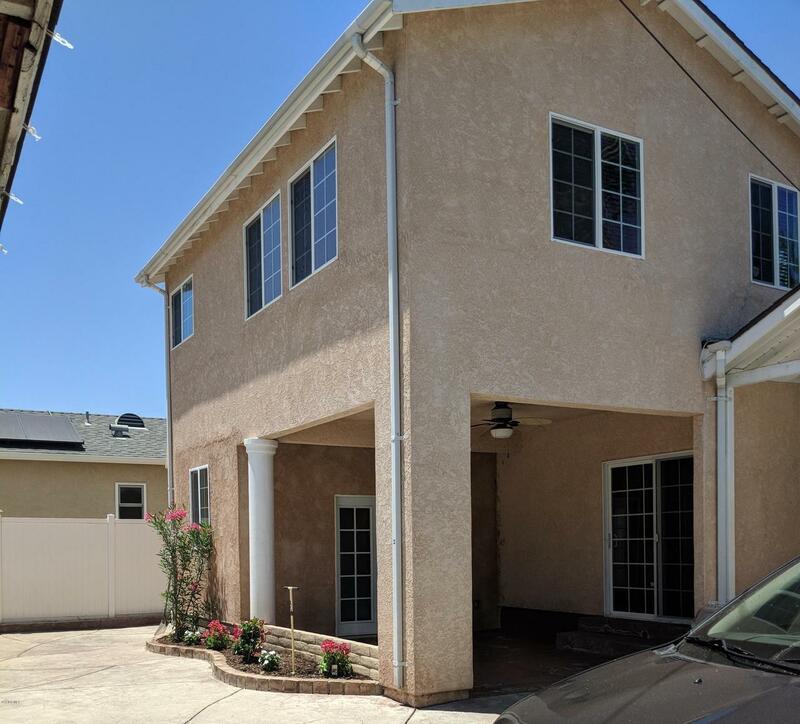 Listing provided courtesy of Sasha Hamilton DRE#01989641 of Re/Max Olson And Associates and Maria Castro CA DRE# 02050856 of .